One of my favorite restaurants is Craigie on Main. The staff is amazing, a model for front of the house service and making a guest feel at home. The kitchen is open, allowing the guests to watch the activity from the dining room. And the food, it goes almost without saying, is absolutely delicious (which sounds like a completely inadequate description). I had one of my most memorable meals there, perhaps THE most memorable meal for many different reasons. And when anyone asks for a dining recommendation, Craigie is right at the top. I hold great respect for owner and executive chef Tony Maws. He's won many top accolades including the James Beard Award for Best Chef Northeast and Food & Wine's Best New Chefs. But the thing that I most admired for a long time was his singular focus on making his one restaurant the best it could be, not on building a restaurant empire. On any night, except Sundays which he reserves for his family, you see him in the kitchen cooking, as one might expect of an executive chef. When you order the confit and roasted pig's head, he personally comes out and explains the dish. There are those who make a show of being in their restaurant, and those who just get into the kitchen and cook. Tony Maws is one of the latter. Having said that, I was very excited when I heard that he was opening a new restaurant, the Kirkland Tap & Trotter. As a more casual, neighborhood restaurant it absolutely makes sense that there's a burger on the menu. But this is a Tony Maws restaurant and he has his own success to compete with. 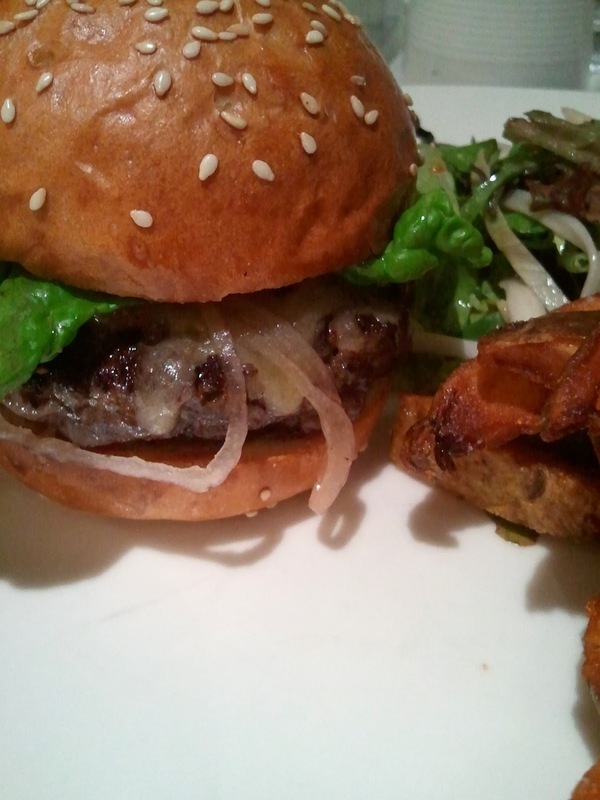 The Craigie burger is well known, even making the cover of Bon Appetit magazine. It incorporates three different cuts of beef, suet, bone marrow, and miso and is just delicious. How could he top that? 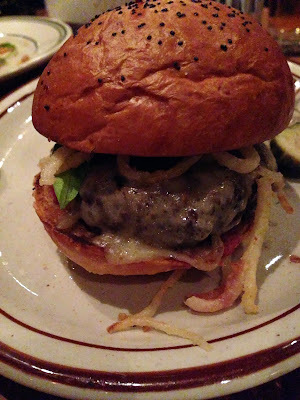 The Kirkland burger is almost decidedly the anti-Craigie burger. It sounds so simple, one could make it at home - ground chuck, a little fat, salt, and pepper. When I first read about it on Serious Eats, it almost sounded, I hate to say this, boring. A few of us went to check out Kirkland and try out some of the menu items. 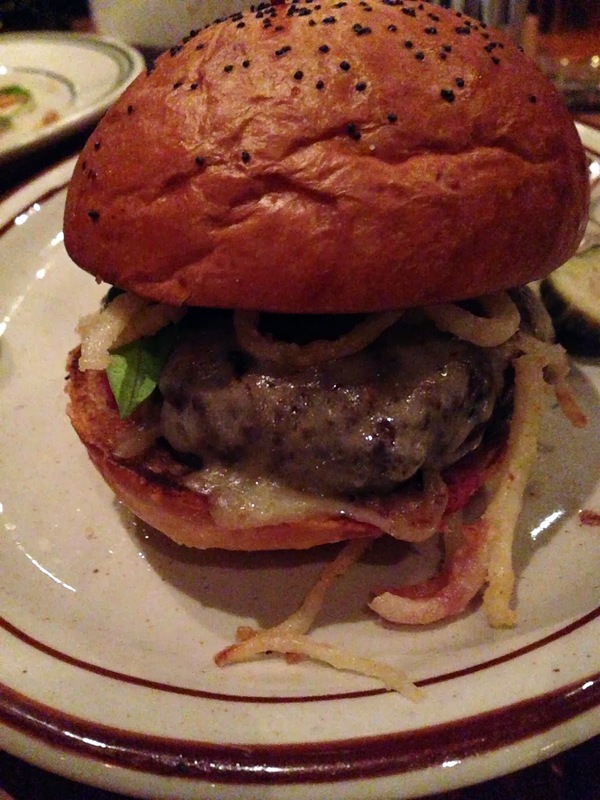 I was completely surprised to find that the burger was one of my favorite things on the menu. It's different from the Craigie burger but I can't put it into words - I don't have the right food vocabulary to point out the differences. To be honest, I could have just had the burger and been completely satisfied. So the moral of the story is...I don't know, just visit both restaurants, have their burgers, you won't be disappointed.